54 pages. Presented by Dr. Eng Aik Hwee. 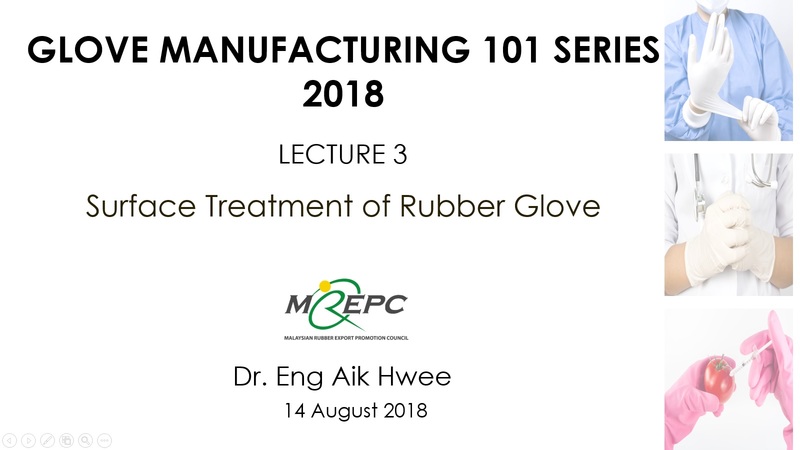 Glove Manufacturing 101 Series 2018 (Lecture 3) was held on 14 August 2018 at MREPC Seminar Hall, Kuala Lumpur. The third lecture class outlined the topics of surface treatments of medical gloves, major standards and its performance requirements. Stearate compounds, non-stearate system, and chlorination were also discussed.